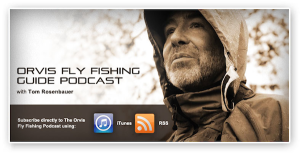 I’m very happy to see two of the podcasts Hathaway Communications produces for The Orvis Company have been recognized by Sporting Classics magazine as “proof that Orvis produces top-notch programming”. Orvis Podcasts have been downloaded nearly FIVE MILLION times by sporting enthusiasts around the world, reinforcing the venerable company’s brand and building loyalty with their listeners. Check out the Orvis podcasts here. Orvis’ Tom Rosenbauer freewheeling monologues cover the ins-and-outs of fly fishing from tailing redfish to the intricacies of strike indicators and fiberglass rods. An industry veteran and long-time fly angler, Rosenbauer addresses both beginner and accomplished fishermen so there’s always advice to glean. 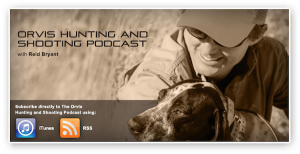 If Tom Rosenbauer’s podcast isn’t enough proof that Orvis produces t op-notch programming, then Reid Bryant’s hunting and shooting podcast will. Bryant favors the classic sporting ethos of his company as he muses about all-things wingshooting. Read the rest of the article here and while you are at it, check out my good friend Zach Matthews’ show which also made the list, The Itinerant Angler.